← Ribs for Your Pleasure! 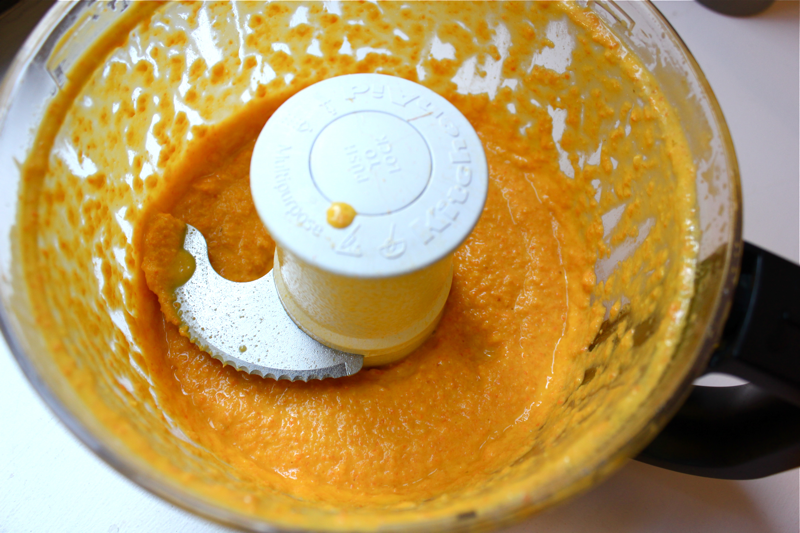 I have had this carrot ginger dressing bookmarked for years, but it took me so long to make because I couldn’t find miso paste. Eventually, I resorted to ordering it from Amazon around the time when I bought my gochuchang sauce, but the miso had exploded inside of its unchilled shipping box, so I sent it back. Miso is finally in my life, and this dressing was worth the wait. It is just like the carrot ginger dressing from Japanese restaurants, the kind my grandma always sweet-talked out of waiters in pints. Now we can have it on demand, bribery-free! 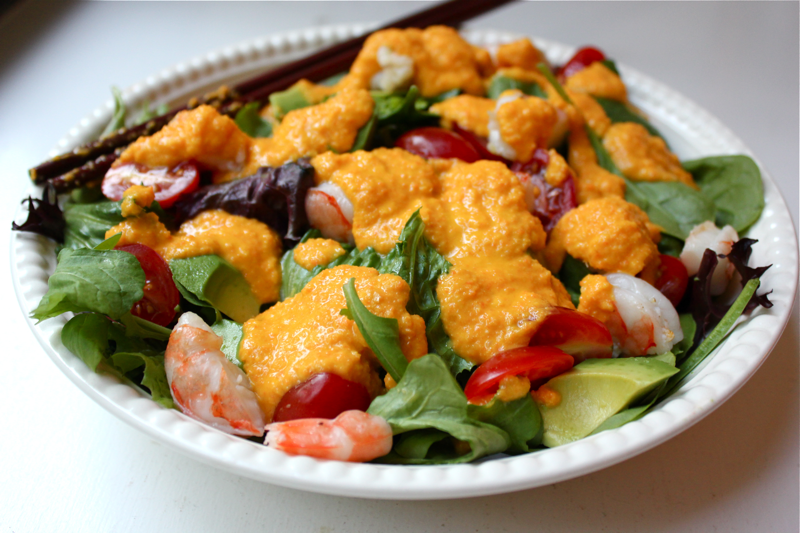 To make this dressing, roughly chop 3/4 cup of carrot, 1/8 cup of shallot, and 2 tablespoons of fresh ginger. 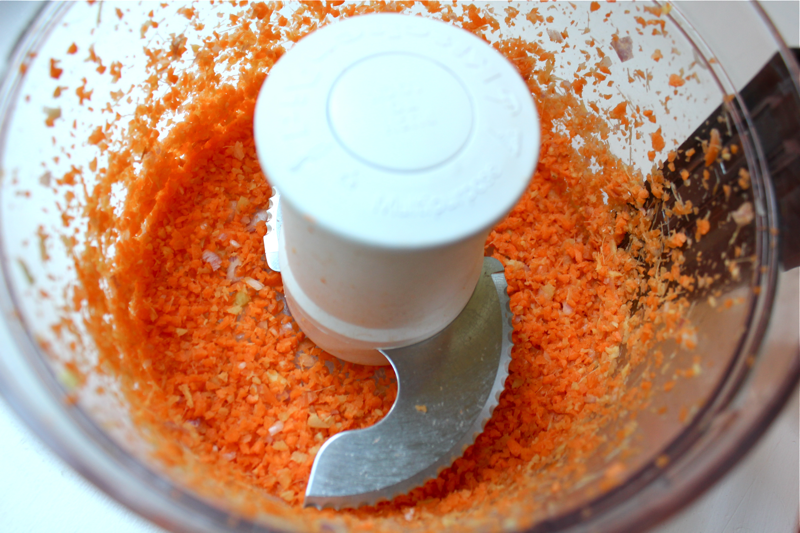 Add the ingredients to a food processor, and run it until they are finely chopped. Add in 2 tablespoons of miso paste, 2 tablespoons of rice vinegar, and 1 tablespoon of sesame oil. Turn the food processor on, and slowly drizzle in 1/4 cup of grapeseed oil and 2 tablespoons of water. Taste the dressing, and adjust any ingredients to your liking. Then, prepare your salad. 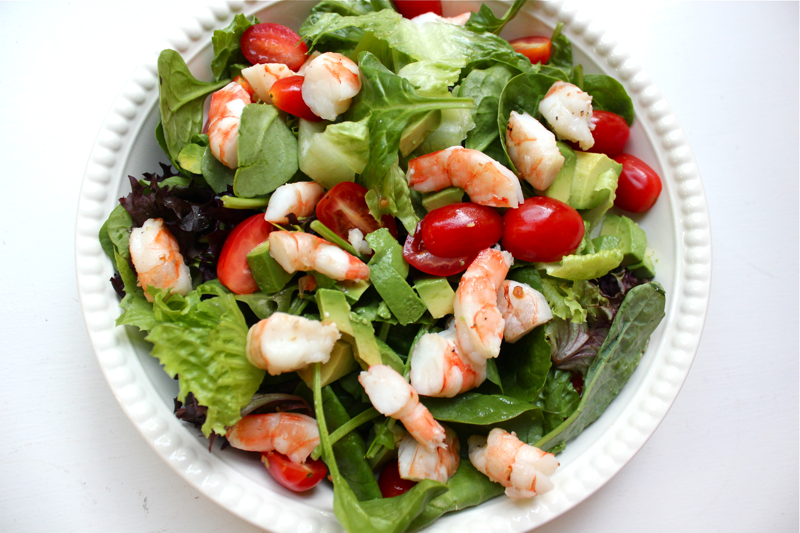 I used a mixture of romaine lettuce and mesclun mix topped with avocado, halved cherry tomatoes, and roasted shrimp. This combination was delicious and very filling! Dollop over the dressing, serve, and enjoy! It tastes wonderfully fresh and rejuvenating- perfect for a warm spring evening. Now…if we learn to make sushi at home, we will never want to eat out again (yeah right!). This recipe is adapted from Goop and Smitten Kitchen. 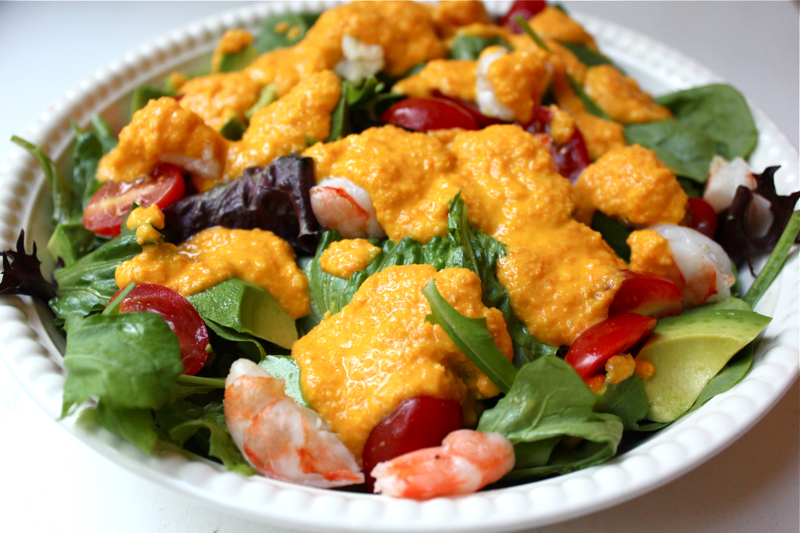 This looks like a great dressing to try!! TY!! Hi, sounds good. What is miso, anyway? 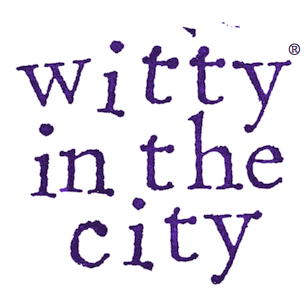 Might help me figure out where to look locally before I give up and look online. By the way, I read and love your posts, but don’t take the time to say so. Thanks! Thanks for your comment! Miso is a savory Japanese fermented paste, sometimes made from soybeans. I found it in the refrigerated section at Whole Foods.